Veteran educators urge teachers and policy makers to join them as they revise the story of education. Existing narratives around education are demoralizing and have edited out foundational principles of how individuals learn. Unwritten: The Story of a Living System proposes a new tale with a resolution that benefits students. According to living systems theory, learners of all ages are social and emotional beings, thriving and ever changing. Though the book does not deny that our educational system is in need of reform, it does point out that reform efforts view learners as automatons and have been largely ill-selected, misguided, and unsuccessful. For example, extreme standardization is in exact opposition to what is known about how individuals learn. Divided into seven chapters and an epilogue, the book’s tone, though professional throughout, shifts from frustration to encouragement. Chapters lean on work by Nel Noddings and remind teachers that learning takes place once community and relationships are established. Sections maintain, echoing Howard Gardner, that students are intelligent in different ways. The chapters are inspiring, asking educators to take action and become what Bonnie Bernard calls “turnaround teachers,” teachers who build relationships with students, reduce stress levels in classrooms, and teach the whole child. Interesting quotes appear throughout chapters, though some are randomly placed and take attention away from the topic. Chapters end with “Sparks,” strategies that focus on teacher preparation or that ask students to write about themselves. The book moves beyond anti-testing rhetoric to well-grounded arguments about why humans are not wired to learn in high-stakes testing environments that, among other things, breed fear, the foe of teaching and learning. While written in the first person, the perspective shifts, making it difficult to discern which author’s point of view is being presented. As career educators, their individual successes and challenges are illuminating. Many educators know the research featured but feel powerless against reform efforts. 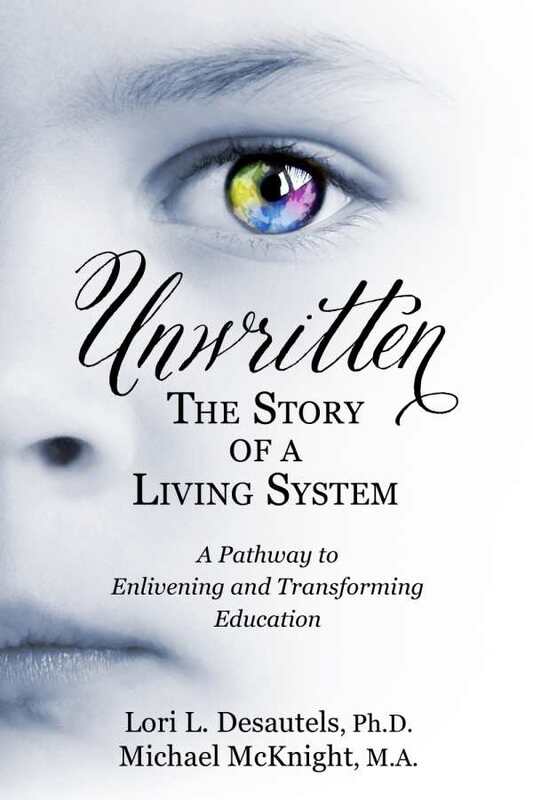 Unwritten: The Story of a Living System offers a path teacher leaders can follow.